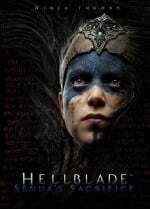 Hellblade: Senua’s Sacrifice was one of the most emotionally challenging titles of 2017, and it’s finally getting a retail release on 4th December. Published by 505 Games on the PlayStation 4, the title will compile the full Celtic adventure on Blu-ray for the first time. ...aaand guess who bought the digital copy a few weeks ago? So glad that I've held off on buying the digital version. Will definitely be getting it now. Never buying a digital version of a game I'm excited for again. The ones I play always end up getting a physical release eventually. Moss and Salt & Sanctuary were the same... although I love those two so much I bought them both the second time. Is this also being released physically in the US? Awesome, I'll have to get this sometime. How long is it? No thanks, was trash the first time around. I wish they’d done a different cover, instead of using the same ol’ promo image. @Jaz007 it's about 8 hours long, it's been a while so i'll go back and replay it to get the platinum. Ashamed to say I bought it on a PSN sale about a year ago and still haven’t played it. I usually prefer physical, but alas, I succumbed to the sale price temptation. My only consolation is that I supported Ninja Therory before they sold out to the dark side. I already bought this digitally so will be passing...still this is good news for those that were waiting for physical.